CARFAX 1-Owner. LOCAL TRADE-IN, VEHICLE IS SOLD AS-IS. JUST REPRICED FROM $5,990, PRICED TO MOVE $300 below Kelley Blue Book! SLT trim. Third Row Seat, Rear Air, CD Player, Aluminum Wheels, 4x4, Towing capacity is the Durango's forte. -ConsumerReports.org. 5 Star Driver Front Crash Rating. CLICK NOW! KEY FEATURES INCLUDE Third Row Seat, 4x4, Rear Air, CD Player, Aluminum Wheels Privacy Glass, Keyless Entry, Bucket Seats, 4-Wheel ABS, 4-Wheel Disc Brakes. EXPERTS REPORT With its tough truck styling, available Hemi V8 power and an even more spacious interior, the Durango offers one of the most enticing combinations of power, comfort and utility on the market. -Edmunds.com. 5 Star Driver Front Crash Rating. 5 Star Passenger Front Crash Rating. A GREAT VALUE Reduced from $5,990. This Durango is priced $300 below Kelley Blue Book. PURCHASE WITH CONFIDENCE CARFAX 1-Owner WHY BUY FROM US Shop with confidence at Lyle Pearson's! Every pre-owned vehicle undergoes a comprehensive inspection in our service department before being offered for sale. A free Carfax report is offered on line and in the showroom, and our lowest price is clearly marked on every vehicle on the lot. Come see us on line or in person today! Pricing analysis performed on 4/9/2019. Please confirm the accuracy of the included equipment by calling us prior to purchase. 2011 Juke S all wheel drive 5 door in graphite grey metallic with charcoal interior. Clean Carfax fresh trade-in. with 71,000 miles on it. This is a nice little SUV! With Bluetooth, cruise control, power windows and locks. remote key, factory alloy wheels with almost new tires, and just serviced, including a brake system. JUST REPRICED FROM $9,995, PRICED TO MOVE $1,200 below Kelley Blue Book! flush and fresh filters. SEE MORE! Given a complete inspection in our shop, serviced, and detailed. Call, or come by for a demonstration today! OPTION PACKAGES REAR ROOF SPOILER. MP3 Player, Keyless Entry, Child Safety Locks, Steering Wheel Controls, Electronic Stability Control. EXPERTS CONCLUDE Edmunds.com explains A drive in the 2011 Nissan Juke will have you seeing the inner beauty of this feisty little hatchback.. A GREAT VALUE Was $9,995. This JUKE is priced $1,200 below Kelley Blue Book. VISIT US TODAY Shop with confidence at Lyle Pearson's! Every pre-owned vehicle undergoes a comprehensive inspection in our service department before being offered for sale. A free Carfax report is offered on line and in the showroom, and our lowest price is clearly marked on every vehicle on the lot. Come see us on line or in person today! Pricing analysis performed on 4/23/2019. Fuel economy calculations based on original manufacturer data for trim engine configuration. Please confirm the accuracy of the included equipment by calling us prior to purchase. CARFAX 1-Owner. EX-L trim. $300 below Kelley Blue Book!, FUEL EFFICIENT 26 MPG Hwy/20 MPG City! Moonroof, Heated Leather Seats, iPod/MP3 Input, Multi-CD Changer, Dual Zone A/C, 4x4, Aluminum Wheels, Satellite Radio, Premium Sound System, IIHS Top Safety Pick. 5 Star Driver Front Crash Rating. CLICK ME! KEY FEATURES INCLUDE Leather Seats, Sunroof, 4x4, Heated Driver Seat, Premium Sound System, Satellite Radio, iPod/MP3 Input, Multi-CD Changer, Aluminum Wheels, Dual Zone A/C, Heated Seats, Heated Leather Seats MP3 Player, Keyless Entry, Privacy Glass, Child Safety Locks, Steering Wheel Controls. EXPERTS ARE SAYING Edmunds.com's review says The Honda CR-V is remarkably nimble by compact SUV standards, thanks to a relatively firm suspension and sharp steering with excellent road feel. Braking performance is top-notch as well.. Car and Driver Editors Choice. 5 Star Driver Front Crash Rating. 5 Star Driver Side Crash Rating. A GREAT TIME TO BUY This CR-V is priced $300 below Kelley Blue Book. 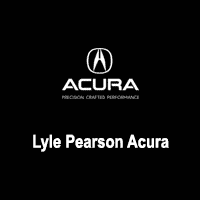 SHOP WITH CONFIDENCE CARFAX 1-Owner OUR OFFERINGS Shop with confidence at Lyle Pearson's! Every pre-owned vehicle undergoes a comprehensive inspection in our service department before being offered for sale. A free Carfax report is offered on line and in the showroom, and our lowest price is clearly marked on every vehicle on the lot. Come see us on line or in person today! Pricing analysis performed on 4/19/2019. Fuel economy calculations based on original manufacturer data for trim engine configuration. Please confirm the accuracy of the included equipment by calling us prior to purchase.